Few other claims about behavior are more firmly ingrained in our culture than the belief that too much sugar causes hyperactivity. Parents fear the effects of birthday sweets or Halloween candy on their children. 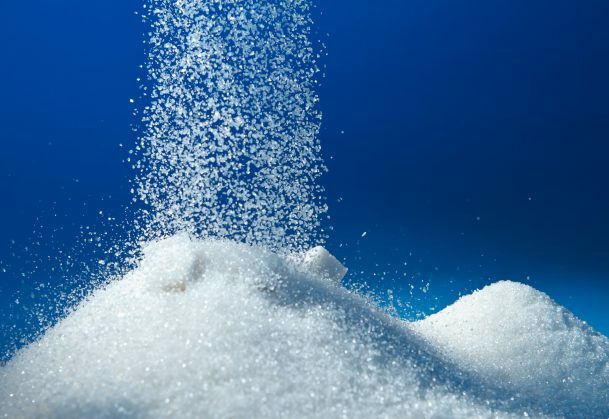 Therapists warn of sugar’s role in clinical problems. And everyone reports instances of experiencing sugar rushes and crashes. The belief in the causal link between sugar and hyperactivity is interesting given that attempts to refute the myth go back decades. The tenacity of this belief provides an equally interesting opportunity for the introductory class. An exploration of the sugar myth provides a valuable lesson in understanding the tools of science and the nature of making and supporting claims. In addition, exploring the realities behind the effects of sugar also illustrate many psychological concepts, including hunger, evolution, and psychopathology. The purpose of day one is to draw out students’ prior conceptions on the relation between sugar and hyperactivity. Get students to share what they think the claim means and how they think the claim is related to evidence. Start by asking students whether they have heard the claim that sugar causes hyperactivity, and whether they believe it. If they do, ask why. Create a list of reasons. Remind students that they need to know what is being claimed before they can determine whether supportive evidence exists. Many people believe the sugar-hyperactivity claim because they believe sugar gives energy. That’s technically true when sugar and energy are defined in specific ways. However, limiting the concept of “sugar” to candy and extending “energy” to excess physical activity are inappropriate assumptions. Students’ misunderstanding might also be linked to their everyday uses of the term “metabolism” and to their concept of a “sugar crash.” Metabolism (the process by which we convert food into “energy” and raw materials) is immensely complex, but a basics explanation can help students understand what occurs as the body metabolizes carbohydrates and recognize how the biological processes differ from their underlying beliefs about sugar causing hyperactivity. A brief summary is provided in the lecture options. FYI. Carbohydrates are the major source of “energy” in the body. A short, clever video on the role of carbohydrates is found in this YouTube video. Students should understand the importance of considering alternative explanations to the casual observations that feed their belief in the claim. Activity: Have students generate as many alternative explanations as possible for the conclusions they draw from casual observation. (They could generate these alone, in pairs, or some combination). How do these alternative explanations demonstrate errors of causal observation? How might scientific tools be used to eliminate these alternatives? Review text on evaluating information, designing studies, and be prepared to do both in class. Think about the type of design that would allow one to make a causal claim and whether the evidence provided is based on that design. Search for evidence refuting the claim that sugar causes hyperactivity and evaluate using the Evidence Sheet. Be prepared to evaluate the findings and design a study testing the effects of sugar on activity. prepare to discuss and evaluate claims and research designs. Have students share the evidence they have gathered using the Evidence Worksheet. Most are likely to have found some reference to the Wolrich, Wilson, & White (1995) study. What is the value of this study? After the discussion, ask students to evaluate the readings at the two websites below. The readings are brief, so students should be able to complete them quickly. As an alternative to having them read separately, you could ask half the class to read one and half the class read the other, then share their reactions. (Be sure to have them report on Reading 1 before Reading 2). ADHD and Refined Sugar: Can refined sugar trigger ADHD? What is it claiming? Evaluate the evidence. Are there any questions or concerns? Students should pick up on the advice to “observe” and critique it based on their understanding of controlling for alternative explanations. If students point out the connection with the study finding parental expectation effects (Hoover & Milich, 1994), ask them how the advice might conflict with that study’s findings (e.g,, would the observations be double blind?). Students should notice that “testing” the effects of sugar on oneself can be tricky and the number of alternative explanations for outcomes plentiful. Drawing conclusions from this “self test” could be problematic. In addition to observer bias, there are other confounds. For example, it “may” be straightforward to eliminate candy, but what about sugar in other foods? The fact that many foods we eat contain added sugar could confound an attempt to eliminate sugar. Have students try to guess (or watch a video of others trying to guess) how much sugar is added to foods. You might encourage or assign them to watch this BBC video on the Truths of Sugar, at minute 23 then again at 37, where the added sugar problem is illustrated. Reminder: A body of research may reduce the number of alternatives. “The value of a hypothesis is inversely related to the number of acceptable alternatives.” (Shindell as cited in Huck & Sandler, 1979). Activity: Have students pair-up and design a study that would test a specific claim about sugar and activity. Be sure they operationalize their terms and create a design to rule out rival hypotheses. Have students report their designs so that the class may “review” them for alternative explanations. After discussing research designs, you could now return to discussing whether students would believe the findings of their study even if they contradicted their original belief. Do they believe others would? Why or why not? What is belief perseverance? In some ways, yes, but claims and evidence need to be related. “Sugar” can affect health while still not negatively affecting behavior. How can you help students understand that sugar does not cause hyperactivity but, in some forms and in large amounts, can relate to health problems? Inform students that the next session will cover content areas in psychology that inform our understanding of the nature of sugar and behavior. They should complete readings related to the topics you are covering (e.g., hunger, motivation, evolution, psychopathology). Exercise: The “But…Actually” exercise (described later) could be introduced at this time so that students may begin framing their answers with the information they gather from readings and lectures. The point of the activity is to help students draw conclusions about the sugar-hyperactivity claim by engaging in dialogue (see Kuhn, 2010). That is, they will acknowledge the reasons someone might see the claim as true and address those reasons. Sugar does not cause ADHD But…. Kids run around a lot! Particularly when they are together or at an exciting event. We tend to have sugary holidays & assume it’s sugar not holiday. We are often influence by our expectations. An objective study found …. The sugar in candy, fruits, and even potatoes is in the form of carbohydrates which are converted to useable energy. If not needed, they are stored, not used in a frenzy of activity. We would never say a child experiencing a potato buzz. There are many ways sugar can be considered “dangerous,” but behavior is not one. Dangers do include….but it’s an logical error to include behavior. Although introductory psychology instructors may opt to skip a discussion of hunger because of its complexity, even a brief discussion would help build students’ understanding of how “sugars” play a role in metabolism, eating, and health. The textbook will include a brief discussion of current thinking on the role of internal and external cues in hunger and satiety. And a good text explanation of how carbohydrates provide energy can be found at the Kaiser Permanente site. Summary: Much of what we eat ends up as glucose. Normally, glucose levels in the blood are well regulated by the hormones. Insulin is released when glucose levels rise and helps cells use glucose and also store it in a more complex form, glycogen, so it can be used later. Glycogen is released when glucose levels are low. Normally, when we consume a lot of carbohydrates that contain high levels of glucose (one of the foods with the highest glycogen index is potato) the oversupply is stored. So a rise in glucose does not mean a burst of random energy. Interestingly, you are only likely to “see” an effect of glucose when you are correcting a deficit. If the blood glucose gets very low (hypoglycemic), the individual is likely to feel very tired. Glucose is likely to bring levels back to normal. The individual will feel less tired, but will not run around the block. Evolutionary theory lies at the heart of psychology. Describing why we like to eat sweet foods, and how the modern food culture has turned something good into something bad, is an important example of the breadth of the discipline. The discussion combines biology, motivation, health, economics, and politics. Basically, sweet foods are attractive because they are a source of dense energy. During times of scarcity, it is good to eat whatever sweet foods you can find because you may not be able to find them tomorrow and if you eat a lot now your body can store some glucose for use tomorrow. However, now that sweet products are widely and easily available, the mechanism that evolved in simpler times can prove lethal. Eating an abundance of sweets, fats, and their combination (something that doesn’t really exist in nature) can lead to serious health problems including what is known as metabolic syndrome. The question of whether one can technically become “addicted” to sugar is tricky and could be discussed in relation to diagnosis and pathology. However, the class could elaborate on the discussion of the health effects of the overconsumption of sugar and on how our current behavior is no longer adaptive. Although some sources emphasize attempts to profit from human preference for sugars, other sites focus on health. Students should understand that a young child running around or not sitting in a seat is not an indication of “hyperactivity.” A discussion of the diagnosis of ADHD (i.e., what it is and isn’t) could illustrate several of the issues in this unit. Milich & Roberts (2018) provide a NOBA chapter on ADHD. Scuitto (2015) reports an interesting study of ADHD misconceptions and treatment. Diagnosis: Diagnosing disorders of childhood involves attending to the developmental nature of the behavior. For example, ADHD has been referred to as developmentally inappropriate inattention. Knowing what is exactly inappropriate involves assessment of the frequency, intensity, and duration of the behavior for a child of a particular age. Some feel the disorder has been over diagnosed and children have been labeled inappropriately by those not trained in careful diagnosis. Causal claims: The discussion of operational definition and experimental claims should highlight how science strives to be cautious in its claims. However, a little background into an early contributor to the sugar-hyperactivity link shows how everyday claims are not so careful. In the 1970’s, Feingold (1975) claimed that food additives cause hyperactivity in children. Despite limited supportive evidence (e.g., Mattes, 1983), Feingold promoted a diet for children (and families) that eliminated food additives and colorings. Because many of foods high in additives also contained lots of sugar, the public began to equate sugar with additives and eventually to assume that sugar played a key role in the inattention. You could mention this assumption during Day 1’s discussion on defining (and misdefining) terms. Babbie, E. R. (2016) The practice of social research. Boston, MA: Cengage Learning. Feingold, B. F. (1975). Why Your Child Is Hyperactive. New York, NY: Random House. Huck, W. & Sandler, H. M. (1979). Rival hypotheses: Alternative interpretations of data based conclusions. New York, NY: Harper & Row, Publishers. Kendeou, P., Smith, E. R., & O’Brien, E. J. (2013). Updating during reading comprehension: Why causality matters. Journal of Experimental Psychology: Learning, Memory, and Cognition, 39(3), 854-865. Kuhn, D. (2010). Teaching and learning science as argument. Science Education, 94, 810–824. Mattes, J. A. (1983). The Feingold Diet: A current reappraisal, Journal of Learning disabilities, 16(6), 319-323.